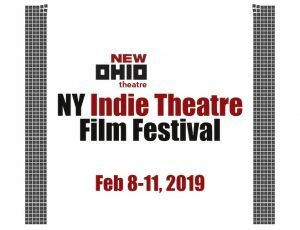 The NY Indie Theatre Film Festival (NYITFF) opens its 2019 edition on February 8 at 7pm and is produced by the award-winning New Ohio Theatre (154 Christopher St.), in Manhattan’s West Village, and runs through February 11. The festival showcases over 30 short films, excerpts of features, and web series episodes made by theatre artists defying labels and branching out into recorded content. What was the impetus for creating this festival produced by The New Ohio Theatre three years ago? It was an idea that literally hit me from out of the blue while I was walking down the street! 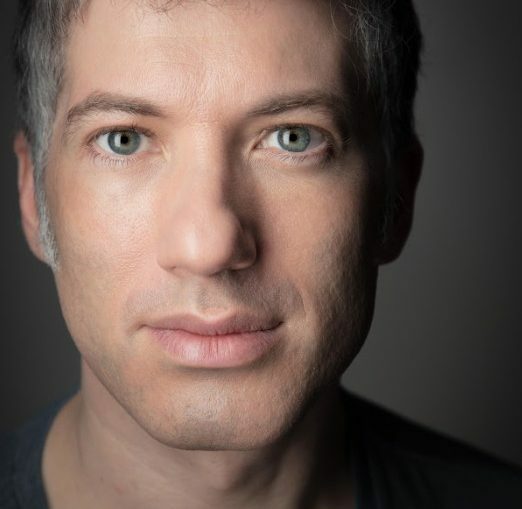 I was just thinking about how many of the theatre artists I knew from our community who were making films, or web content – you know, recorded work – and suddenly I thought how much fun it would be to produce a festival where we could gather all that work together and show it to our audiences. How do you go about curating the line-up for NYITFF? It’s an open submission process through Film Freeway. We’ve gotten more clearer since our first year about what qualifies content as “made by a theatre person.” One of the lead artists has to have worked in the theatre in NYC in the past 3 or 4 years, for example – and we ask for links to credits! We also give a lot of weight to projects where the theatre person is stretching themselves to fit a new role in the content. Like being a theatre actor, but writing a film. Theresa Rebeck is making her film directorial debut with Poor Behavior at this year’s NY Indie Theatre Film Festival. What elements of this work make it a perfect fit for the ethos of the festival? So this is exactly what I was just saying! In this case, Theresa not only wrote the screenplay for Poor Behavior by adapting her own play, but tried film directing for the first time. I love how she’s taking on new roles as she crosses over into film. Theresa, of course, has written extensively over the years, for TV, theatre, and film, so she’s not new to the medium, like some of our artists. For our opening night screening, though, we like to honor a veteran theatre artist who’s been successful across disciplines. “The festival showcases over 30 short films, excerpts of features, and web series episodes made by theatre artists defying labels and branching out into recorded content.” What unique elements do you think theatre makers bring to their film forays? I think theatre makers are good storytellers. They know how to tell a story. The tools of film are different than theatre, and the visual expression of storytelling is different in film than theatre, but that’s learnable. I think theatre makers figure out how to get an audience invested in characters and take them on a journey. What subject matter can we expect from the 14 New York premieres featured in this year’s line up? It’s a very varied lineup! There’s comedy, horror, experimental, drama. I’ve tried to group each screening thematically, but there’s no one trend in subject matter. There are definitely some artists taking risks with familiar topics like dating, depression, work life, or moving to the big city. It’s not a timid lineup! Could you tell me more about the Film Race that is taking place on Feb 11 at 7pm? F*it Club, the non-profit theatre and film company behind the Film Race, believes very strongly that if you want to make art, you need to just f—ing do it! And so the Film Race is designed to get you to make the best film you can in 72 hours. Each team that signs up is given a series of elements at the start of the festival that they need to incorporate into the film; and then 72 hours later, at the end of the festival, they submit their final edited film. And then on Feb. 11, at 7 PM, the audience gathers and watches all the films and votes for the winner. It’s a lot of fun! This year there may be as many as 9 or 10 five-minute films. It’s amazing to see the quality that people put together over just 72 hours. They take it very seriously! But the films are also hilarious most of the time. I mean the films aren’t just slap-dash. It’s pretty amazing. You have a variety of industry panelists taking part in the festival. Will there be a talk back after every screening? Right, the panels exist in their own blocks of time, separate from the screenings. But after each screening, we’ll get one artist from each work in the screening up on stage for a brief Q&A. In many ways, this is my favorite part of the festival – hearing from the artists. The Happy Hour Lounge sounds like a theatrical film title! Is this spot the hub of the festival? We sure hope so! It’s our first time trying it out. It’s become clear to me how important it is at festivals for there to be time for artists to meet and mingle and network. And watching movies all day can be tiring! So right in the middle, at happy hour, we take a break and folks can have some fun and hang out. I’m looking forward to it! How do you see NYITFF evolving in the future? We’re trying to get the word out so more theatre artists know to submit and also so audiences know to find us. We also check with our artists to see how our festival can best serve them. We’re a non-profit theatre company, after all, and our mission is to serve our artists! So I’ll let them help guide where we go to from here. Why is attending the NYITFF the most exhilarating thing you can do in NYC this weekend? The content is exhilarating! And then we’ve got some really great panelists from industry with major credits who are so kind to spend time with us this weekend. And then there’s all the chances to drink and talk to like-minded people. Who needs anything else?